Todd “Therk” Therkildsen moved to Winding Road Racing as our manager of Racing Services in early 2016. 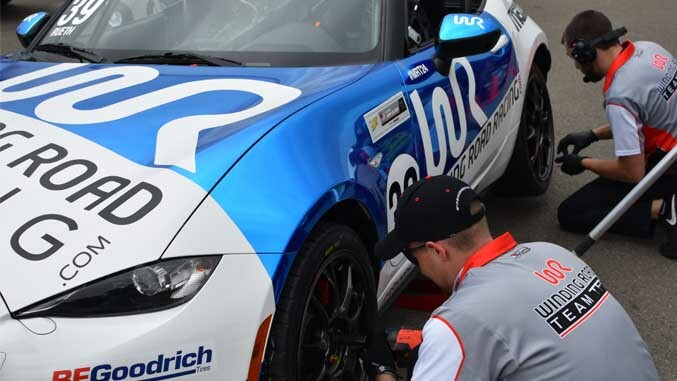 In that role, Therk manages race car prep, transport, set up, data logging, coaching, maintenance and hospitality for Winding Road Racing (WRR) customers in the major series we run, including national club races, Battery Tender Global MX-5 Cup and Pirelli World Challenge TC, TC-A and Spec MX-5 Challenge. Therk told us “The WRR National Championship Racing program is designed to allow customers to focus on racing by relieving them of the need to spend time on setup, repair, documentation and transport. For some busy customers, like corporate executives and professionals, an Arrive & Drive (A&D) program is what makes it possible to go racing at all. Otherwise, these folks simply don’t have the time to do all the work that is needed.” He pointed out that "For other customers, especially drivers who want to work on skill development, A&D means they can put all their attention on driving. When working with a coach and/or making intensive use of data, this freedom is very important. Especially in our pro series, we surround the driver with testing, coaching and data analysis opportunities and most drivers find that this is close to a full-time effort when added to their other obligations at the track." Therk brings an impressive background to WRR. He comes from Elan Motorsport Technologies, where he worked on the DP02, DeltaWing and NP01 programs. He started at Elan as an engine builder and then supported engine development for the DeltaWing. When Elan began developing the NP01 in conjunction with NASA, he moved to that program, working on development and testing. Once the NP01 was completed, he took charge of trackside customer support, travelling around the country to give customers an opportunity to test the first NP01s. 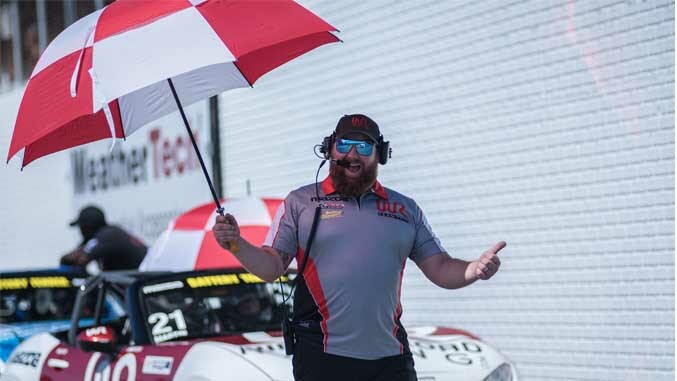 In that role he also supported two customer teams running the 25 Hours of Thunderhill, where the new car completed 514 laps in its first race outing. 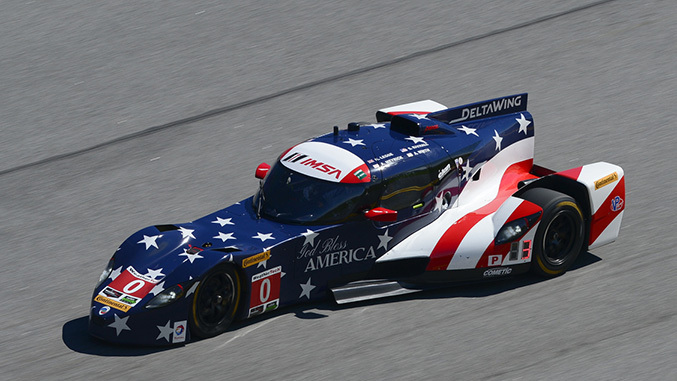 “Working on the DeltaWing and NP01 projects really got me fired up about supporting the overall quest to go faster. I love putting it all together, whether it is car set up, engine tuning or data analysis,” says Therk. Part of his military tour took him to Germany, where he owned an Alfa Romeo Spider and an Audi S3. He and his friends frequently went to the Nurburgring for hot lapping in those cars. They also were regular visitors to the local karting facility where they competed in Rotax TAG karts. After leaving the army, Therk went to school to get his applied science degree, specializing in high performance engine building. 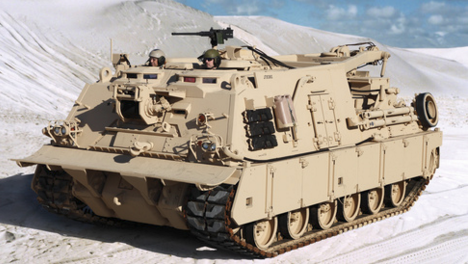 Therk holds engine block, cylinder head, CNC and Mill certifications. During 2016 and 2017, Therk was crew chief on Winding Road Team TFB's MX-5 Cup team. The team ran 6 cars in the series and won rookie-of-the-year honors. 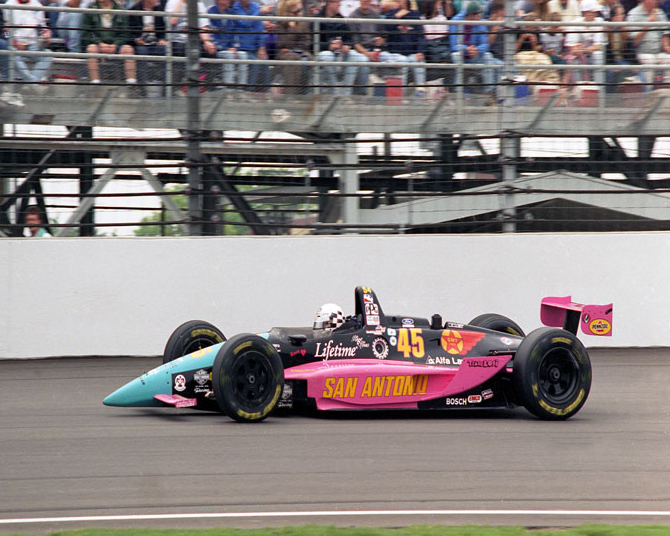 In addition, Winding Road Team TFB was one of only three teams to win multiple races. In 2017 all of the team's drivers finished in the top 10 in the points standings, in what observers agreed was a very talented and deep field. 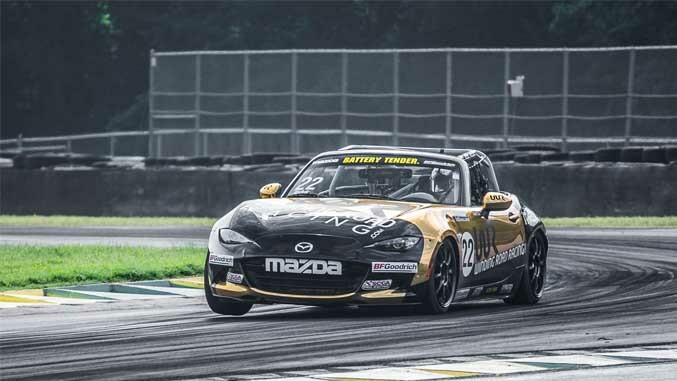 "Global MX-5 Cup is one of the most intense racing environments I have ever seen, and that includes IMSA, NASCAR and INDYCAR. The action is so close, deep into the field, for the entire race length pretty much every time. It is a great enviroment for driver development, which I love because that's what we're set up to do" said Therk. 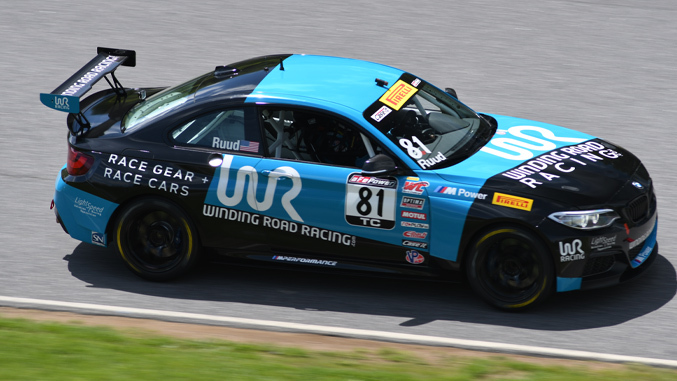 During 2017, Winding Road Team TFB also participated in the Pirelli World Challenge Championships, competing in the TC-A class with the Global MX-5 Cup car and the TC class with the BMW M235iR. Therk explained "Our young drivers had a strong year in TC, winning one race and typically finishing in the top 5 or 6 out of more than 30 cars. In TC-A Winding Road Racing coach Jeff Sexton got on the podium many times and our strength late in races showed the value of expert setup." While at Winding Road Racing, Therk led the build of one of the first Elan NP01 prototypes and then supported the car in NASA events and at the NASA Eastern Championships. 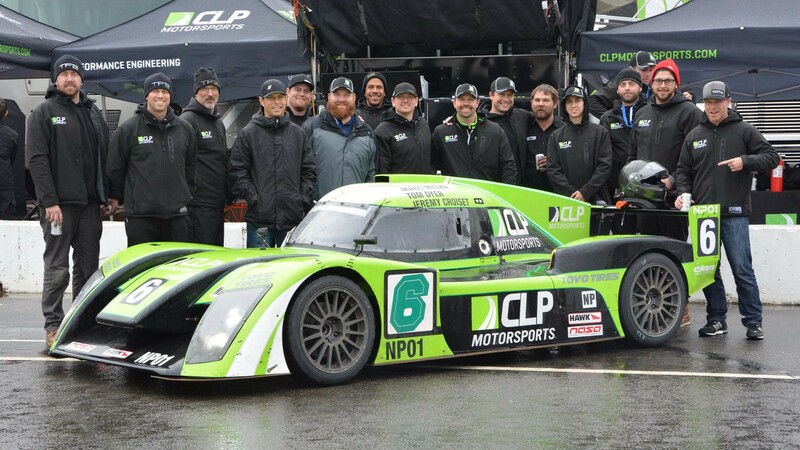 "Having worked on the NP01 during its development, it was great to build and run one of the cars. We've also applied our NP01 set-up expertise to several other cars in a effort to build the close competition that a spec series can deliver" he observed. Therk's team has also built several Spec Miatas and Spec E46s, as well as performing extensive modifications to American Iron Mustangs and PCA Porsches.